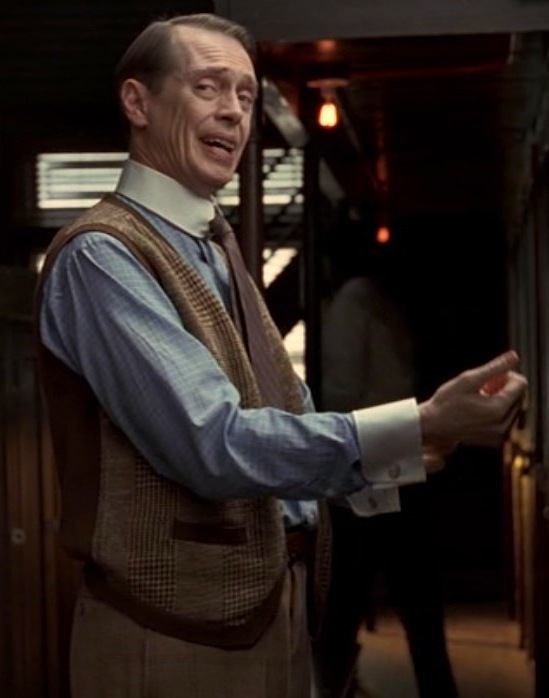 Steve Buscemi as “Nucky” Thompson on Boardwalk Empire (Episode 2.05: “Gimcrack & Bunkum”). As summer starts winding to a close, make sure you schedule some time this weekend to hit the links with your pals. In Boardwalk Empire‘s second season, Nucky and political pals Harry Daugherty and Jess Smith blow off some steam after a Memorial Day ceremony by getting out onto the green. Things are tense for Nucky as his old protégé Jimmy Darmody is vying for power in the city, his Attorney General ally is more concerned with his weight than Nucky’s legal situation, and the unreliable Jess Smith is trying to use Nucky for a shady partnership. And that’s all just before they leave the clubhouse. Nucky Thompson: Do you actually enjoy golfing? Harry Daugherty: I enjoy being a man with the time to play it. Sean Connery at Stoke Poges Golf Club as James Bond in Goldfinger. With the close of the PGA Championship (Congrats to Jason Dufner), we focus on another style icon’s day at the golf course. 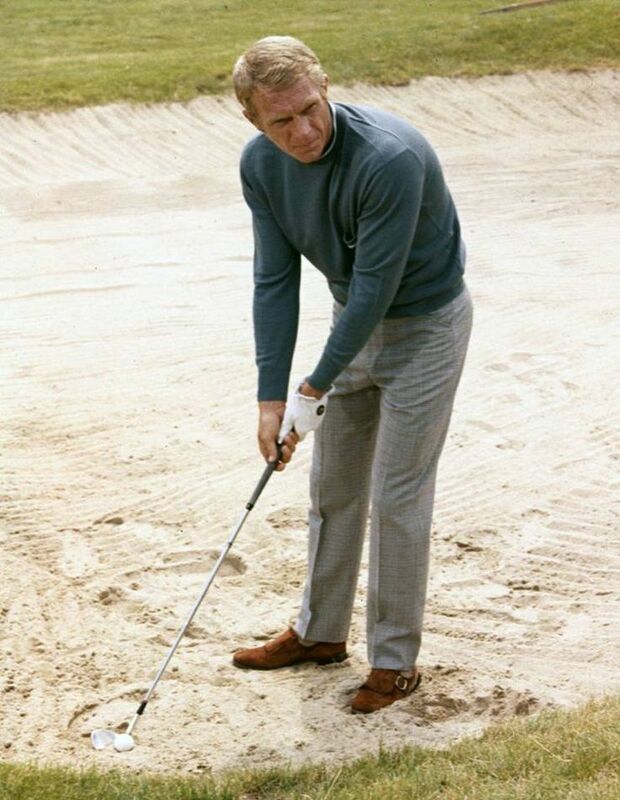 Steve McQueen as Thomas Crown, lining up the perfect shot on the links in 1968’s The Thomas Crown Affair. The PGA Championship began yesterday at the Oak Hill Country Club in Rochester, NY. 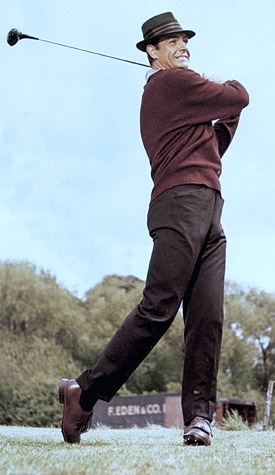 If you plan on polishing off your clubs before summer ends, see how Steve McQueen did it with a casual style in Thomas Crown Affair. When not planning multmillion dollar bank robberies, taking to the air in his private plane, or frolicking on the beach in his dune buggy, Thomas Crown heads to the links with his pals. More specifically, he heads to Belmont Country Club.